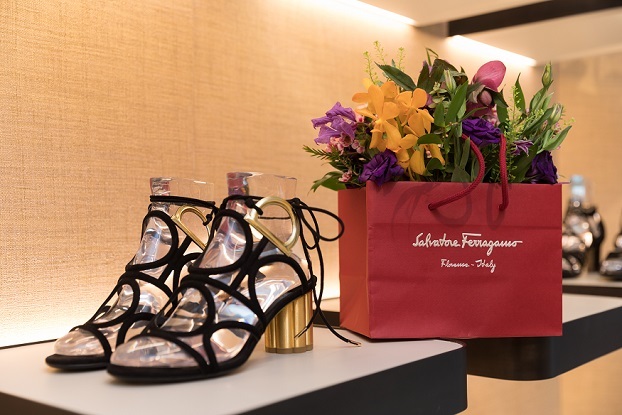 Ferragamo celebrates the Spring 2018 collection with Flower Invasion. 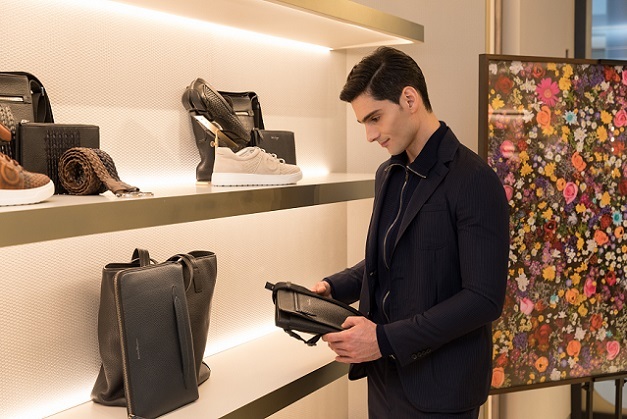 A Flower Invasion Sophisticated floral patterns from Salvatore Ferragamo’s archive grace a botanical accessory collection of shoes and handbags. 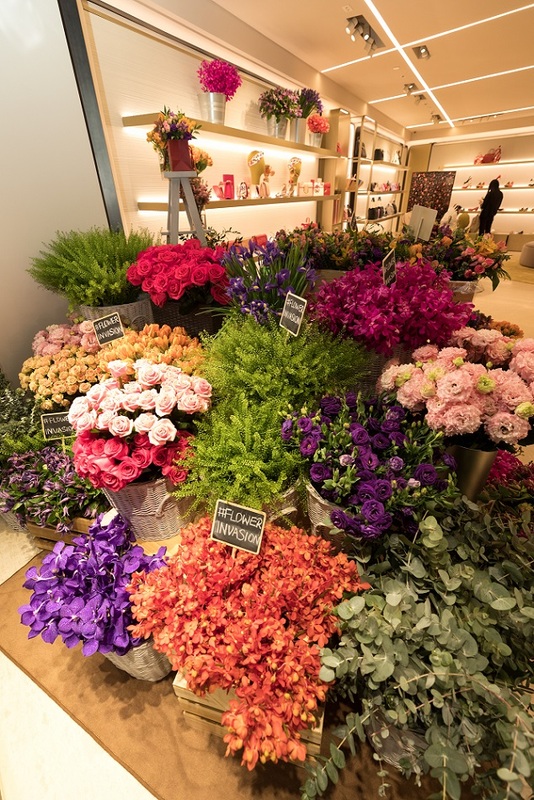 A Flower Invasion event was held in IFC store recently. High tech florets run through digital prints in the silk scarf laces tied at the ankle of patent leather sandals and open-toe F-heel wedges. Tuscan and English flora blossom on the uppers of mules, ballerina pumps and slingbacks atop the iconic Flower Heel, designed by Women's Creative Director Paul Andrew, inspired by timeless design from the Ferragamo archives. The collection of geometric clutch bags features a hyper floral design and contrasting framed edge detail finished with either the iconic Gancini or silk scarf tie closure. 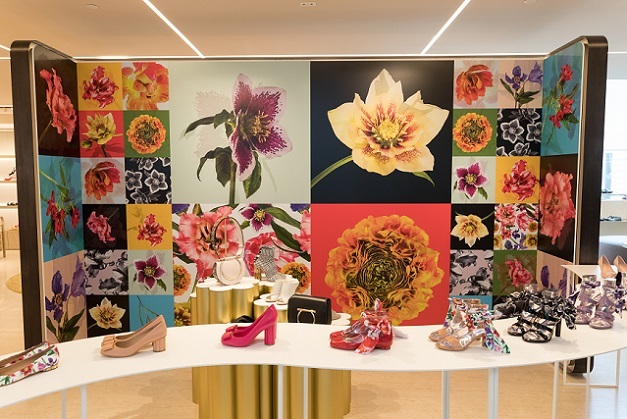 Celebrate #FlowerInvasion on @Ferragamo's official social media channels. 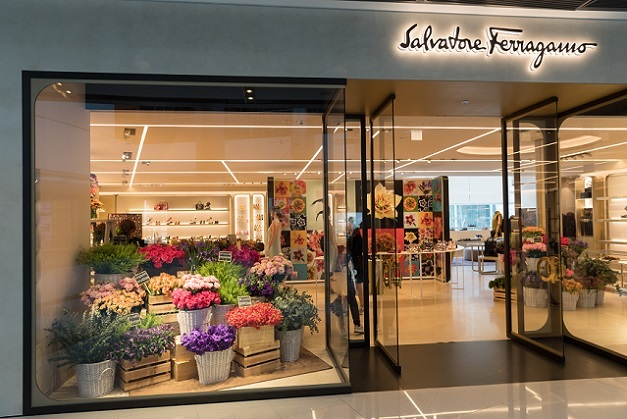 #FlowerInvasion is also a communication project for Salvatore Ferragamo’s social media channels: a special story developed through images and short videos, ranging from blossoming flowers to product galleries with floral backdrop.